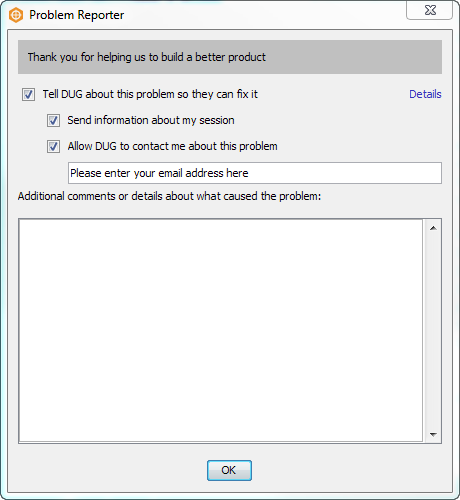 DUG Insight User ManualFrequently Asked QuestionsFrequently Asked Questions Insight Error MessagesThere is a problem. How do I provide information on my issue? On occasion, DUG Insight may experience an issue which will require more information for us to provide a fix for you. Here is how to get more diagnostic information to us so we can resolve the issue quickly. This is important! The issue must be reproduced, and the logs captured at the time of the issue occurring. 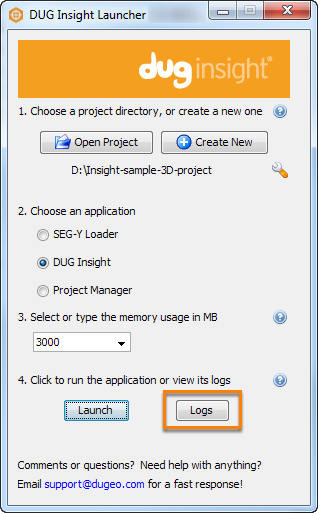 In the DUG Insight Launcher, click the Logs button. There is a tab for every time that Insight or the SEG-Y Loader has been launched. Select the relevant tab that you are currently experiencing a problem with. 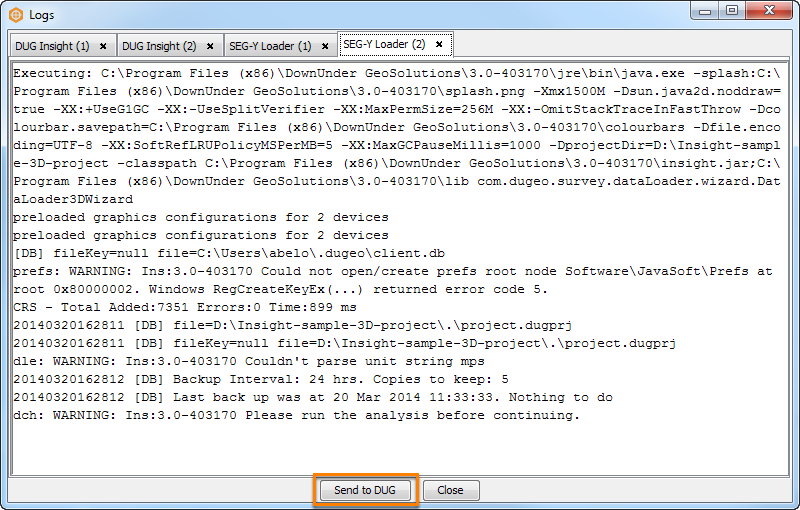 Click Send to DUG to send the log files for diagnostics. For more information, see Viewing and Sending Diagnostics Logs. Next: Help, Insight just crashed! What should I do now?